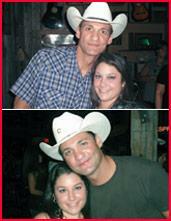 This site is maintained by a supporter of Wade Hayes and his music. We'd love to feature your pictures and your comments for the Fan Zone and Gallery Pages. Click a picture to see a larger version. 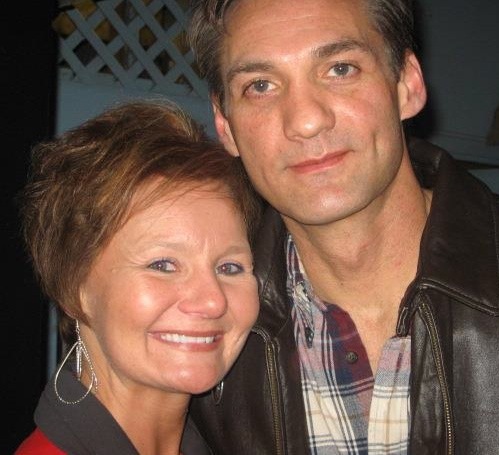 Jennifer Freeze and her daughter, Jennifer Dulanski. 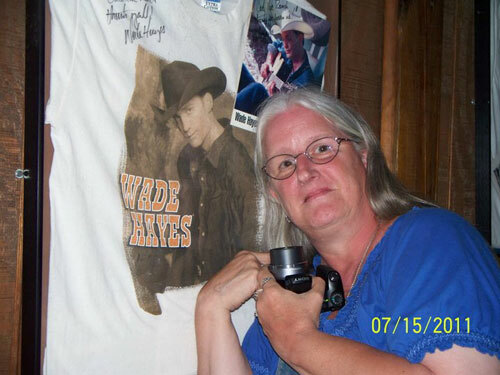 She comments, We both love Wade, he is a very kind, passionate down to earth person, very easy to talk to and anything he sings is simply awesome! 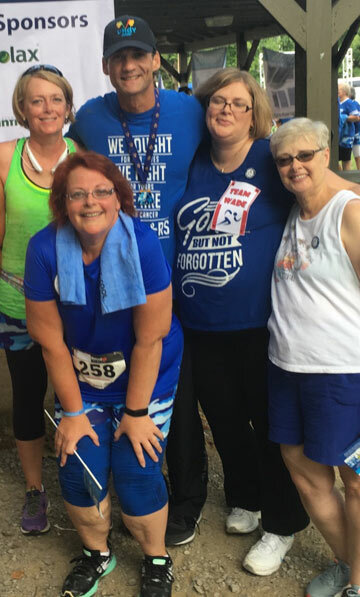 A four sisters reunion at the UNDY 5K With Wade from left to right: Becky Ream from Washington Court House, OH; Betty McCrary from Goodlettsville; Jamie Williams, Nashville; Ella Williams, Manchester, Ohio. Another Texan, Jeanene Jones, likes that Dosey Doe venue, too. You can't beat an evening with Wade and a guitar. And with the picture, Jeanene says, "The evening is complete!" 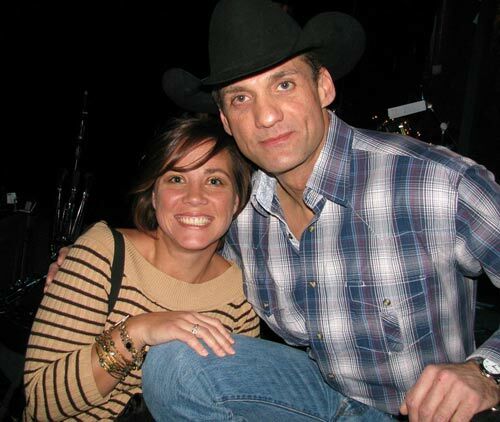 Kelly Kane with Wade at Dosey Doe's in Houston. Great venue for an acoustic show and Kelly is always there. 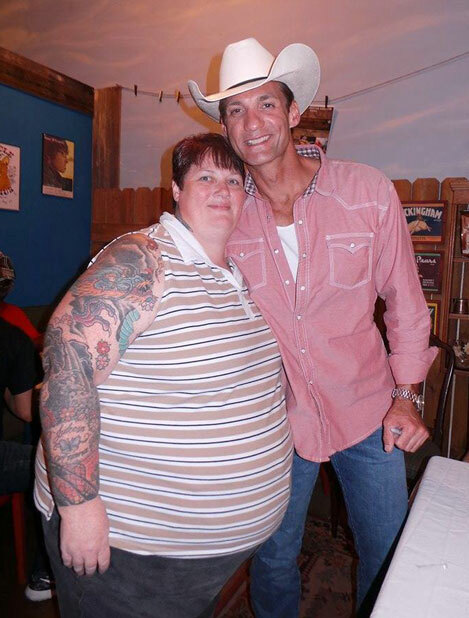 Wade was there to support his good friend Aubrey Bean in the opening of his newest bar-b-cue restaurant, "Bean's Smokehouse," in Smyrna, TN. 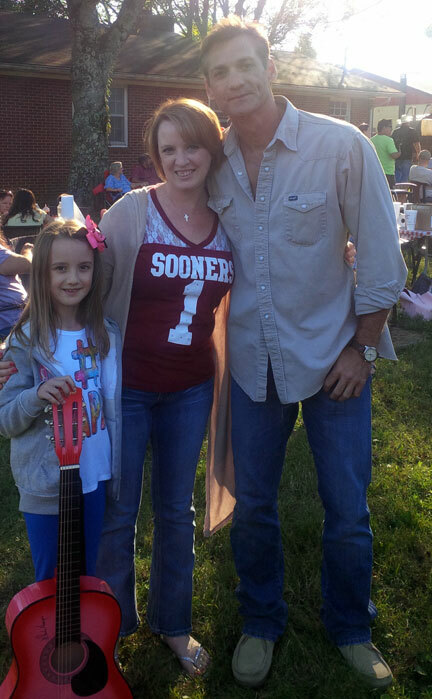 Click on the pic to see Harley's guitar, which she proudly had Wade to sign for her. Mama, Kendall Peerson, enjoys the musical road trips with her girls, Laney and Harley. The girls sure do, too. 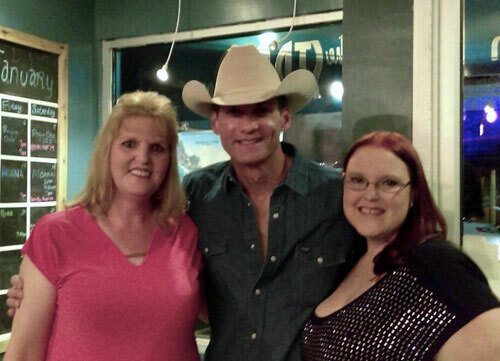 Larae Predmore writes, "I finally got to see Wade at Bucks in Waterloo, Nebraska!! It was more then I dreamed about." 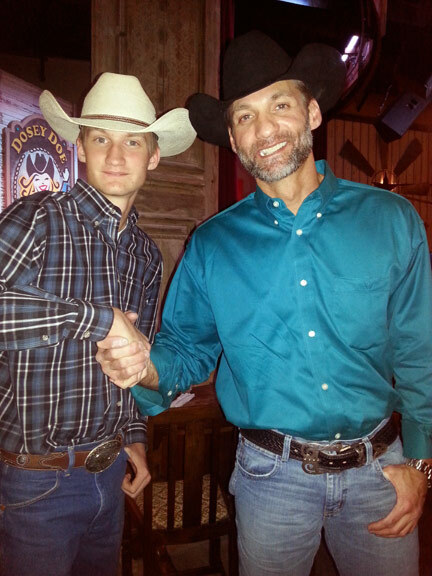 Trent Willmon's Ropin' Pen benefit event had a lot of artists and a lot of fans. 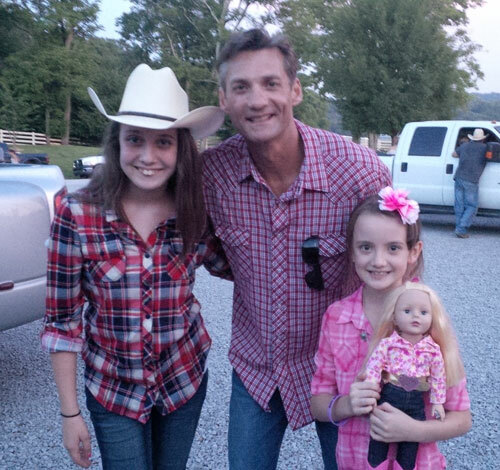 Here Wade is pictured with Laney and Harley Peerson. Harley is holding tight to the doll she purchased with the gift certificate she won at the Wade Hayes Friends Fest in June. 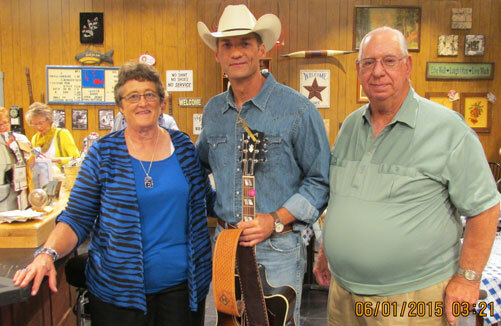 Treasa and Al Brookman were there when Wade guested on Larry's Country Diner. 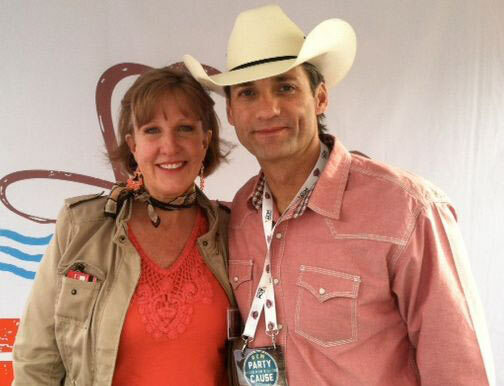 The show will be re-aired on RFD-TV on Saturday, January 30, 5 at 10 pm CT and Sunday, January 31 at 6 pm CT. 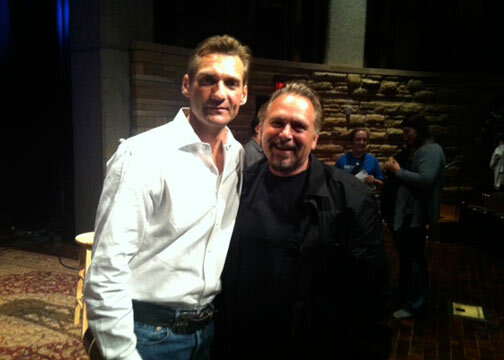 Watching the live recording of the show was a special treat of their Nashville trip. 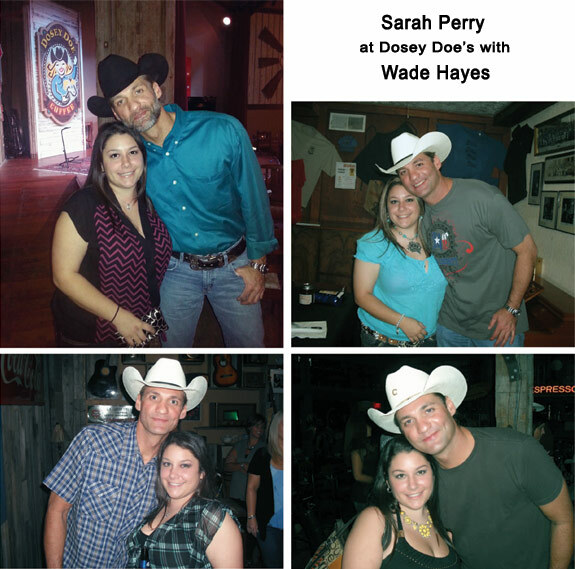 Sarah has never missed a show of Wade's at Dosey Doe's in Houston, Texas. Great venue! 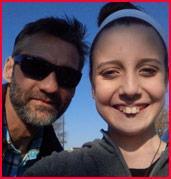 Laney Peerson with Wade at the Toys for Tots Drive. 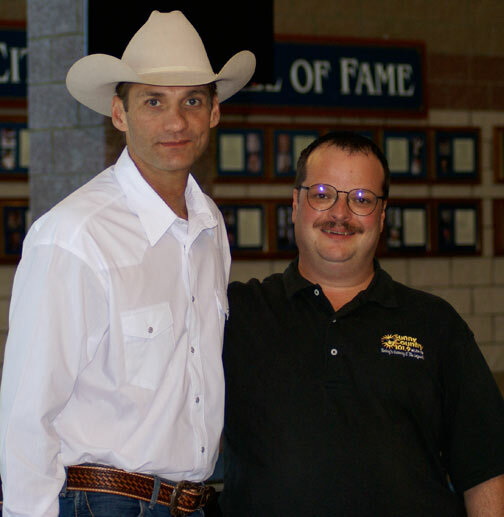 The "grizzled" Wade was participating in WSM-AM's "No Shave November" for the benefit of St. Judes Children's Hospital. Laney's mom, Kendall Hensley Peerson, had a great day. Kendall says, I won a great gift certificate for $1000.00 Gotta Love that. I thought the guy told me it was 100. But when we got there and the girl showed me. Nope. I about died. Laney and I were just laughing. 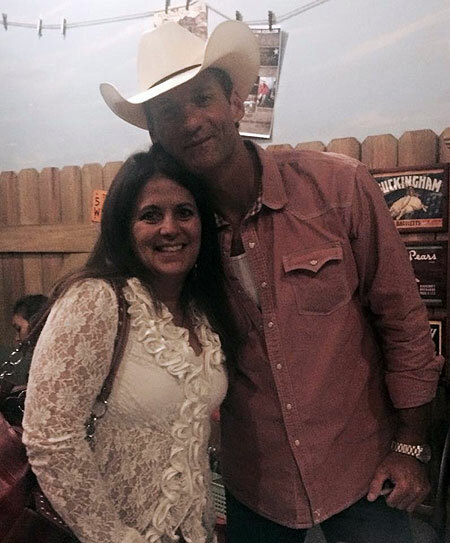 If Wade is in the Houston area, Kelly Kane will be there. And even Claremore, Oklahoma isn't too far. 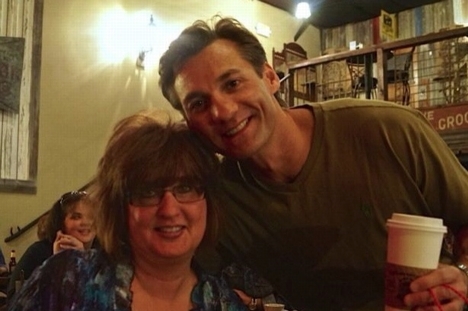 Dianne Ayers from North Carolina with Wade at Dollywood "So proud to call this man my friend! He could sing the phone book and I'd listen." 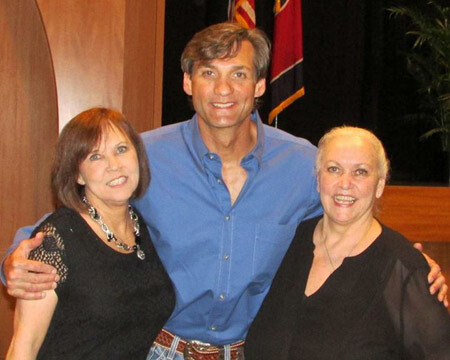 In May, Wade spoke to the Society of Gastroenterology Nurses and Associates 41st Annual Course. It is an educational course for GI nurses and associates. 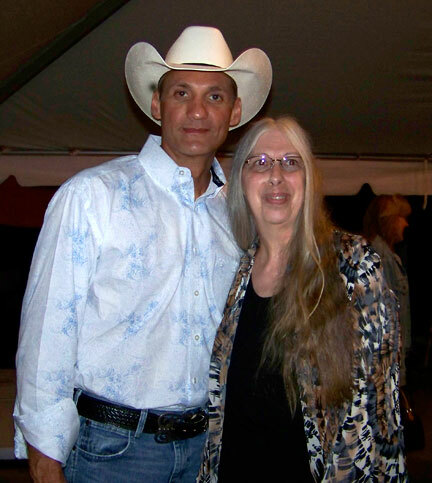 Diane writes, "I was fortunate to get to introduce him, and got to meet him and Mike prior to the talk, while we practiced. 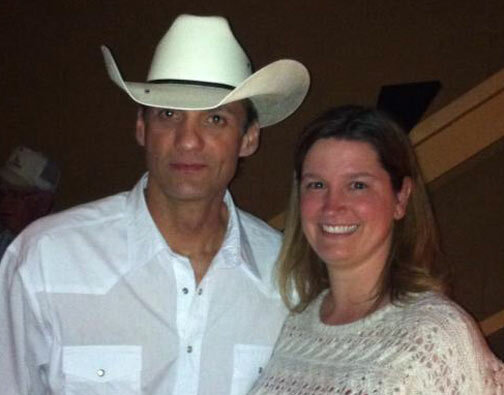 I got to talk to them both for a little while and told him I wanted to be his "cougar". Boy I wish!!! He is such a great guy! Got his autograph and all these pictures and great memories. I fell in love with his music when I heard, "Is it already time", and didn't realize I had heard his music before until I bought all the rest on iTunes. " Maycie's first meeting with Wade. She made him a birthday card. 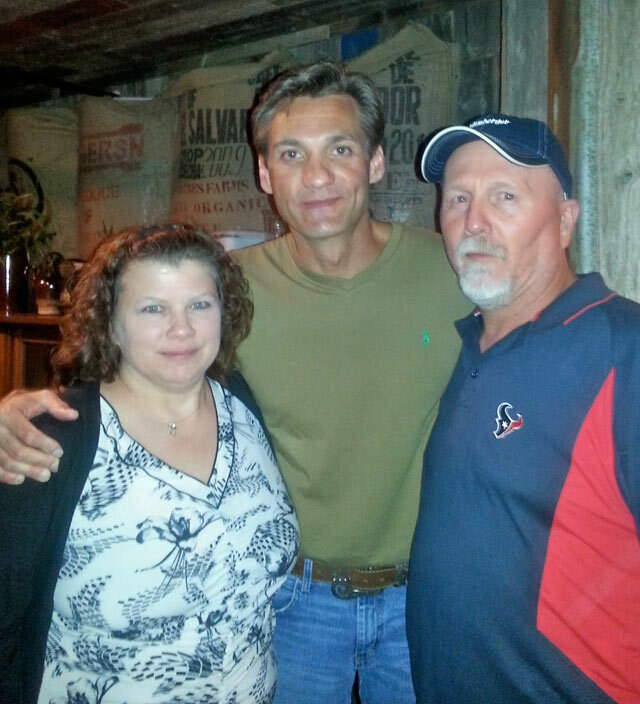 It was family night at Dosey Doe's Music Cafe in Conroe, TX. 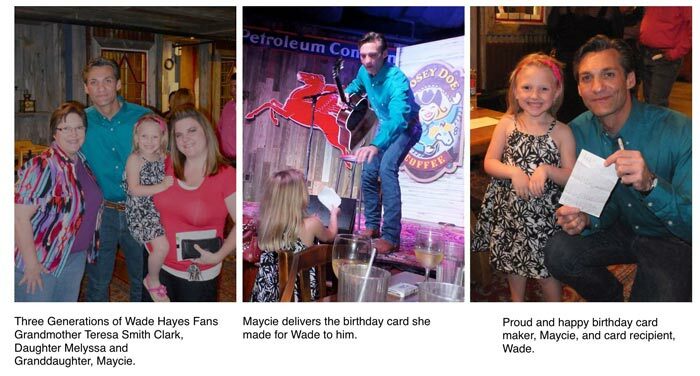 Mom Melyssa and grandmother Teresa Smith Clark along with Maycie are a 3-generation family of Wade Hayes fans. Janis Campbell visited Wade at the Country Music Cruise canopy during the ACM Party for a Cause Festival at The Linq in Las Vegas, Nevada. The Linq is the new Ferris-wheel near the strip...the largest in the world. 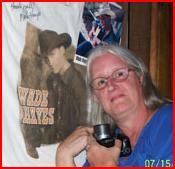 Melissa Wolfenbarger Amagrande with Wade at the Silver Dollar Saloon. 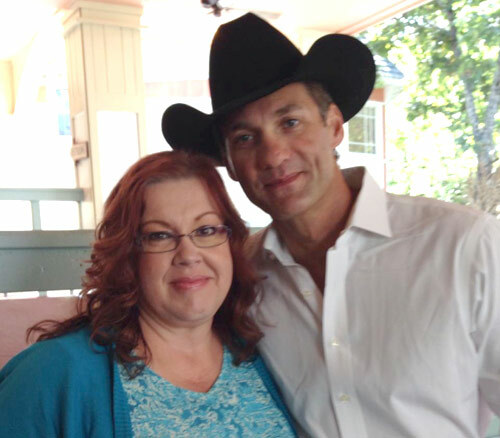 Melissa, formerly a Californian is now a Nashville resident. "Dosey Does in Conroe, TX. was where Janis Campbell saw Wade perform for the third time. She presented him with some flavorful Dosey Does coffee, to which he exclaimed, 'Is that for me?!'" 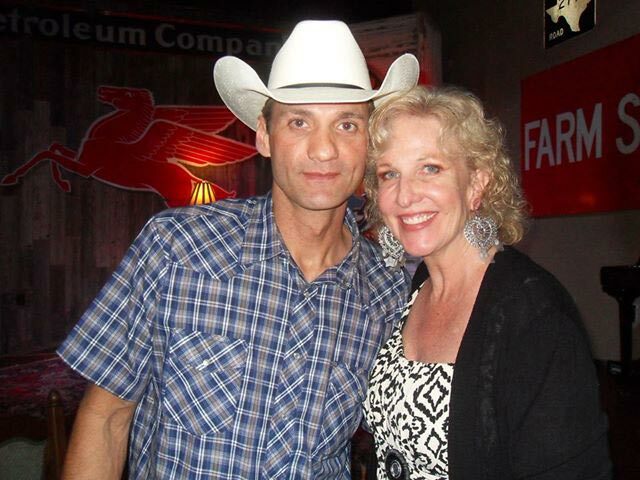 Connie Womack with Wade at Buck Owen's Crystal Palace in Bakersfield, California. 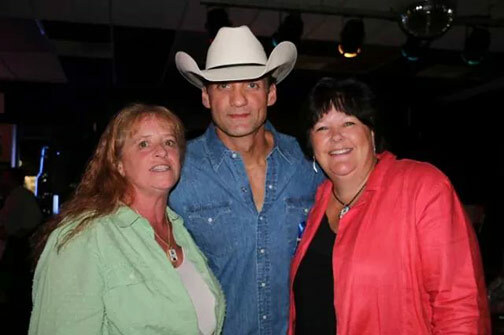 Scott Wikle writes, "This was my second Wade Hayes show this year. 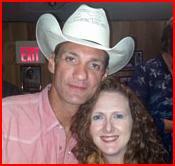 Wade is such a fantastic performer and a very nice, down to earth man. It was a pleasure spending time with him." Denny Wells first met Wade when they were seat mates on a flight into Nashville. Curiosity led him to some internet research. Now he's a big fan of the man and his music. Julia Bellinger is glad Wade made a trip to her home state of Michigan. She's with him here at the Southside Festival Grounds in Buckly, Michigan. 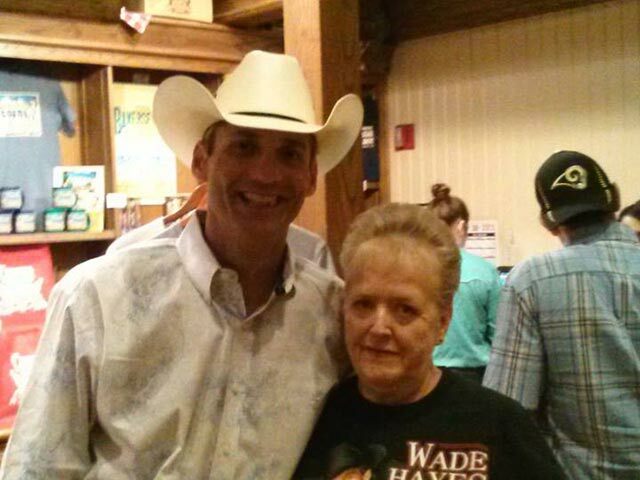 Russell & Rhoda Kelly enjoyed Wade on April 20 for Wade's birthday. We felt privileged to spend the night with him. Love you Wade. 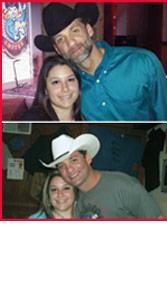 Alisha Devins Young from Owensboro, Kentucky with Wade at Dosey Doe's in Houston, Texas. Her triplet daughters are big Wade fans, too. 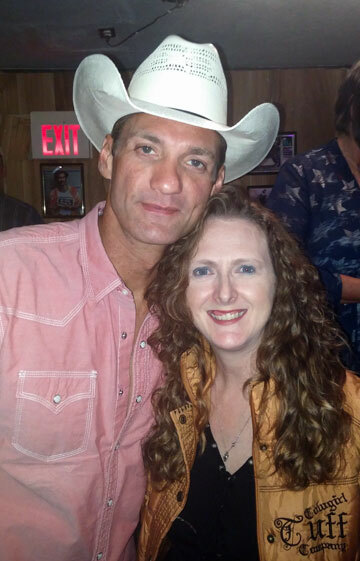 Stacy Lenette Brooks from Westminster, South Carolina with Wade in Nashville at the world famous Bluebird Cafe.